Bangabandhu 1 is the first Bangladeshian geostationary communications satellite. 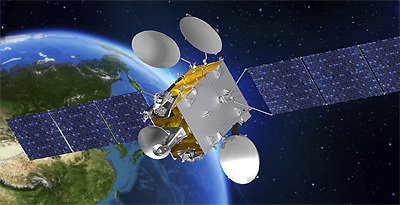 The satellite was ordered in November 2015 from Thales Alenia Space, who will build, launch and operate the satellite for the Bangladesh Telecommunication Regulatory Commission. Built on Thales Alenia Space's Spacebus-4000B2 platform, Bangabandhu 1 will be stationed at an orbital slot at longitude 119.1° east with 14 standard C-band transponders and 26 Ku-band transponders. The satellite was planned to be launched in December 2017 for a 15-year expected lifetime. It was delayed to May 2018.